This National Historic Landmark in the meat of downtown Cincinnati has a supposed ghost wandering the place — the wife of a laborer killed during construction of the hotel in 1930. 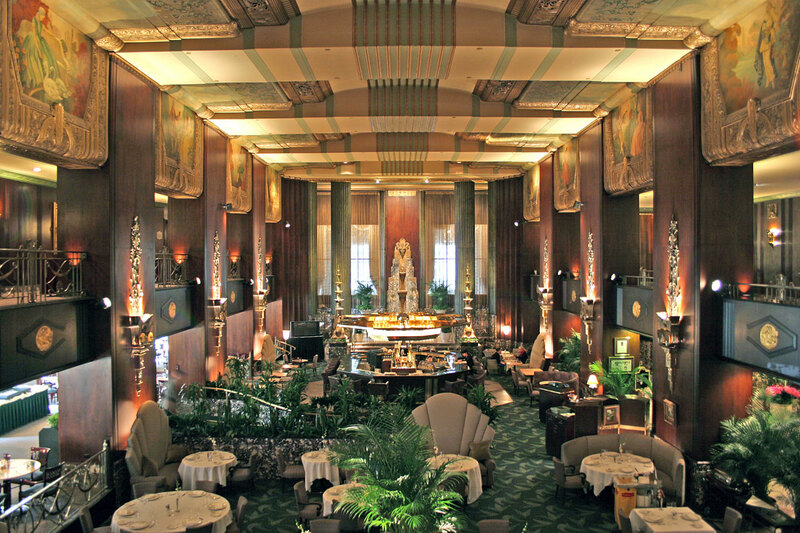 Highlights of the interior include a Hall of Mirrors, and lots of deco geometry on a grand scale. I figured there would be good light this afternoon as I headed back from the coffee chain, but really I don't think it's possible to take a bad photo of this place. More information about the hotel is available on the The College of Design, Architecture, Art and Planning website. You can also navigate back out on their site to read up on other significant architecture in the area. This hotel is a Hilton, not a Hyatt. That is a great hotel. I used to travel to Cincinnati (I now live here) and would stay there now & then. Carew Tower, next door, also has some interesting architecture.